This is a rectangular Whiting’s Milk porcelain sign. This particular Whiting’s Milk sign is black with white text. 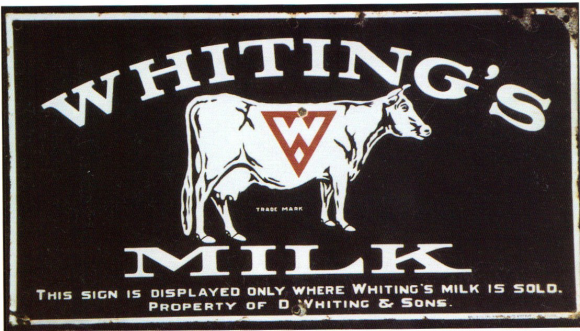 It reads, “Whiting’s Milk, This Sign Is Displayed Only Where Whiting’s Milk Is Sold, Property Of D. Whiting & Sons.” and features a white dairy cow in the center of the sign.